Trekking in Nepal Himalaya involves many days of walking. To experience the hill country, you should allow yourself at least two weeks. 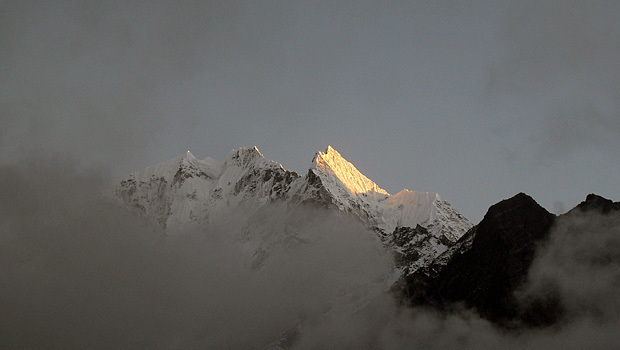 Unless you have a month or more at your disposal, you’ll probably manage only one trek during your visit. In any event, you’ll want to spend a few days in Kathmandu and possibly visit Pokhara and a jungle lodge in Chitwan while you are in Nepal. The real trek in Nepal lasts three weeks at least. It is my heartiest opinion. If you have allowed yourself only one week in Nepal, you won’t have time to do any serious trekking, especially if you also want to do some sightseeing in Kathmandu. You could do a short walk on the Kathmandu valley rim, head to Pokhara and do some day hikes, or a three- or four-day trek to Ghorapani (2850 m) or Ghandruk (1940 m). It is a small part of Around Annapurna trek. With two weeks you could trek to Annapurna base camp (4130 m), Langtang or fly to Lukla (2860 m) and walk to Sherpa villages and monasteries. If you’re prepared to spend US$ 700 for a permit, you could fly to Jomsom and trek into the remote northern kingdom of Mustang. Three weeks will allow you the opportunity for an extended trek such as the Everest Base Camp (5360 m) or Around Annapurna treks, and still spend a few days in Kathmandu. With a month, you have enough time to visit the base camp of Kanchenjunga (5140 m) or Makalu (5000 m), or perhaps make a circuit of Manaslu. You could also experience the tremendous variety in Nepal by trekking to Everest or Langtang and then doing a second trek in the Annapurna region. Previous post: When to Trek in Nepal?